Sabrina, the youngest daughter of Marlene and Steve Aisenberg, has not been seen or heard from since Nov. 24, 1997. It's been more than ten long years since the five-month-old baby seemingly vanished. "I have dreams often that she's coming home, and that we're playing, and the dreams are as vivid as they are real," says Steve. For the Aisenbergs, the ordeal began in Valrico, Fla., just outside of Tampa. On the morning of Nov. 24, 1997, at 6:30 a.m., Marlene noticed that something had gone terribly wrong. "It's the most horrific thing you can imagine, looking into your child’s crib and not seeing her there," says Marlene. "There is just nothing to describe it, and I remember just screaming, “Steve” and calling 911." Marlene and Steve would like to forget everything about that awful night -- especially the garage door that they admit leaving open. That night, with the door open, the Aisenbergs can only assume that someone crept quietly into the house and snatched Sabrina while they were sleeping. Sabrina's photo is shown age-progressed to 10 years. She became missing from her residence sometime during the early morning hours of November 24, 1997. Her yellow blanket is also missing. Thought I would post this here as it is for Sabrina. TAMPA -- Twenty-two months after the disappearance and presumed death of their infant daughter, former Brandon residents Steve and Marlene Aisenberg were charged Thursday in federal court. A federal grand jury indicted them on charges of making false statements, accusing the couple of fabricating a kidnapping story in November 1997 to explain the disappearance of 5-month-old Sabrina. The indictment quotes the Aisenbergs' personal conversations, apparently obtained from listening devices planted by federal agents. Those recordings suggest that Sabrina was killed by her father while he was high on cocaine and that the couple staged an elaborate coverup. Steve and Marlene Aisenberg leave U.S. District Court in Greenbelt, Md., on Thursday with Jeff Wennar, right, Mrs. Aisenberg's attorney. "The baby's dead and buried! It was found dead because you did it! The baby's dead no matter what you say -- you just did it!" Marlene Aisenberg is quoted as telling her husband 29 days after Sabrina's disappearance. Steve Aisenberg is said to reply: "We need to discuss the way that we can beat the charge. I would never break from the family pact and our story even if the police were to hold me down. We will do what we have to do." Days after that conversation, in January 1998, according to the indictment and a federal prosecutor, Steve Aisenberg said: "I wish I hadn't harmed her. It was the cocaine." The couple's attorney, Barry Cohen, defended the Aisenbergs on Thursday night. "I have every confidence that these people are not responsible for what they've been charged with," he said. 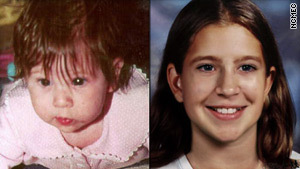 Sabrina was reported missing in a 911 call Marlene Aisenberg placed at 6:42 a.m. Nov. 24, 1997. The couple claimed that they put the child to bed at 11 o'clock the night before and that they awoke to find her missing from her crib. The garage door had been left open, but the family dog, Brownie, never barked, and there was no evidence of an intruder. The report touched off a massive search in and around the home at 3632 Springville Drive. Eventually, local, state and federal law enforcement officials began to turn their attention to the Aisenbergs. The couple hired Cohen and refused to cooperate with the investigation, turning down requests for interviews with detectives and instead telling their kidnapping story to local reporters and syndicated television talk shows. They moved from the Brandon home this year with their two other children and settled in suburban Maryland. The couple were arrested Thursday. Marlene Aisenberg, 36, refused to admit FBI agents to her home, a tidy split-level house in Bethesda that neighbors said belonged to Steve Aisenberg's father. The agents forced the door open. The indictment accuses them of a variety of acts designed to foil investigators, including the concocting of false leads in Texas and Michigan. It also accuses them of using contributions from the public for the search for Sabrina to pay down credit cards. Both were taken before a federal magistrate for an initial appearance Thursday. Each was released after promising to post a $25,000 bond. The Aisenbergs return to court today to provide documentation for their bonds. Further court proceedings will determine when they return to Tampa. The Aisenbergs' two other children were looked after by Steve Aisenberg's parents while the couple were in federal custody, Cohen said. The indictments were announced Thursday afternoon in Tampa by U.S. Attorney Charles Wilson, who today will end his five-year reign as top attorney for the Middle District of Florida to become a federal appellate judge. Wilson said his departure had nothing to do with the timing of the indictments. Instead, he said, the investigation had reached the proper point. Cohen said the arrests seemed "vindictive." He said Steve Aisenberg told him by phone that he was "sad that he's been indicted for something he didn't do." Despite the recordings of incriminating conversations, Hillsborough Sheriff Cal Henderson said Thursday that local investigators didn't have enough evidence to bring a murder charge against the Aisenbergs. Wilson would not discuss why a murder charge was not included in the indictment. Federal murder charges are rare and generally are filed only in conjunction with drug or racketeering cases. Wilson said the charges should not be seen as punishment for parents who were uncooperative with investigators. "These are serious violations of state and federal law, including false statements to law enforcement agencies working very hard to find their daughter," Wilson said. The indictment quotes the recorded conversations as grounds for a conspiracy count. The false-claims counts allege the Aisenbergs lied about a kidnapping; lied about the time they woke up that morning; and lied about what Marlene Aisenberg was wearing that day. The search for Sabrina prompted a large air and water search, as dozens of divers plumbed the lakes near her house. The case was trumpeted on crime stopper shows and a Sabrina Web site recorded hundreds of thousands of hits. The Aisenbergs were interviewed on Oprah, The Geraldo Rivera Show and network newsmagazines. Former federal prosecutors who aren't involved in the case said the federal prosecution of the Aisenbergs, without any state charges, was highly unusual. "This is an extraordinary, unusual way to go about a case like this, first to have the federal government involved, and second not to bring the underlying charge (of murder) with tapes like this," said Tampa lawyer Sandy Weinberg. Today the Aisenbergs' former home on Springville Drive stands empty, a real estate agent's sign in the front yard. Neighbors remain divided on whether the Aisenbergs are suspects or victims. Next-door neighbor Martha Jones said she assumed at first that the Aisenbergs were telling the truth but noticed "very odd" bits of behavior almost from the moment Marlene Aisenberg knocked on her front door that morning. Mrs. Aisenberg was with another woman and said, "My baby's missing, my baby's missing," but she was not crying. "She didn't appear to be extremely upset, as I would have been if my baby was missing, especially a 5-month-old," said Mrs. Jones, a 48-year-old analyst for GTE. "I put my arm around her, and she withdrew immediately. It's so odd that she would do that and not let someone comfort her." Mrs. Jones also was skeptical about the family's story that their dog Brownie apparently did not alert the family to an intruder. "Brownie is a barker," she said. Although to Mrs. Jones, Steve Aisenberg seemed more concerned about the baby's disappearance than his wife, she also told the grand jury that she had heard him yelling at the couple's children before. "He's a screamer," she said. "We always got the impression that he was the disciplinarian, not her." As soon as the family was no longer under the Sheriff's Office's surveillance, they began to have backyard parties, including children's parties with horses and ponies, she said. "If it's true," she said of the charges, "I hope they're convicted" and sent to prison. At the other end of the street, 46-year-old Don Roetter said he "still can't believe that they had anything to do with her disappearance." "I know they're sincere," said Roetter, who has kept in touch with the Aisenbergs since they moved. "Their kids are their whole life. . . . Marlene would break down crying all the time thinking about Sabrina." Roetter said the family believes "that Sabrina will be found. It's just a matter of time." The charges announced Thursday, he said, seem to be based on statements that "could be taken out of context. . . . You're still supposed to be innocent until proven guilty." Roetter's comments were echoed by the Aisenbergs' attorney, Cohen, who said Thursday that a listener has to understand "the entire context" of any recorded comments. "I haven't heard the tapes and I haven't heard the information," Cohen said. "But I know that a lot of things are said under emotional circumstances ... said out of stress." In the indictment, the couple fret about making mistakes in their coverup story. Investigators apparently began recording the couple on Dec. 16, 1997, the day after ending a vigil in the Aisenbergs' home for a ransom call that never came. Federal agents can place listening devices after obtaining an order from a judge. Prosecutors declined to give any description of how they overheard the conversations. Steve Aisenberg, charged with one count of conspiracy and four counts of false statements, faces a possible maximum 25 years in prison. Marlene Aisenberg, charged with one count of conspiracy and five counts of false statements, faces a maximum of 30 years. A former federal prosecutor now in defense practice said he consider the charges an "ulterior motive prosecution" designed to make Marlene Aisenberg testify against her husband. "What they're trying to do is manipulate the federal justice system to bring pressure on people to solve a larger crime," said Tampa attorney Steve Crawford. "It stands the whole concept of federalism on its head. . . . It's an abuse of the process." Former federal prosecutor Weinberg said, "There would appear to be some evidence problem that caused the state concern (about bringing a murder charge)." -- Times staff writer Vanita Gowda contributed to this report. I suppose Sabrina would still remain as a Disappeared case as not found yet? It is so very sad. Thanks for posting article Merly. Felon who informed in Aisenberg case is sentenced to prisonTAMPA — A felon who figured prominently last year in leads about the disappearance of baby Sabrina Aisenberg was sentenced Thursday to 37 months in federal prison on an unrelated weapons charge. Scott Overbeck, 44, of Tampa pleaded guilty in October to being a felon in possession of a firearm or destructive device. Investigators found a commercial firework mortar shell with an 8-inch fuse and shotgun shells duct-taped around the shell's perimeter while searching Overbeck's home for drugs in December 2007. Overbeck's name became intertwined with Sabrina's disappearance this summer, after the St. Petersburg Times first reported that felon Dennis Byron, a longtime friend of Overbeck's, told detectives that Overbeck said he disposed of Sabrina's remains. Overbeck has not been charged in the child's 1997 disappearance. In court on Thursday, Chief U.S. District Judge Elizabeth Kovachevich focused on Overbeck's criminal history. She outlined his arrests dating back two decades, which included multiple drunken driving arrests, aggravated assault, possession of cocaine and drug paraphernalia. "Mr. Overbeck, you've got a bad career," Kovachevich said. "This is the last chance you're getting." Overbeck blamed his most recent run-ins with the law on his friendships over the past five years. He has said in court that it was a friend who built the improvised device as a joke. "I forgot it was around," he told the judge. Assistant U.S. Attorney Amanda Riedel called it a homemade bomb. "He thought it wasn't really anything much more than a firework," David Secular, Overbeck's public defender, told the judge. To which Kovachevich replied, "It's a good thing he doesn't celebrate on the Fourth of July." Overbeck asked to serve his time he's already been in custody. The FBI had recordings from bugging the home of the Aisenbergs. This clearly shows another case of police officer "Tunnel Vision". These recordings the FBI used to obtain a warrant for the arrest of both Mr.& Mrs. Aisenberg were so inaudible that nothing could be heard. These recordings are what they based their warrants on. Police told the Judge that Mrs. Aisenberg's 911 call was unemotional as well. I heard Mrs. Aisenberg's 911 call it was far from unemotional. A week after the Aisenberg's were arrested charges were dropped. Stephen Kunz sharply criticized, the lead prosecutor had been accused of lying in court and trying to convict innocent people. He too was being investigated by the DOJ at the time he was on this case. The Aisenbergs still have a room for Sabrina Paige. They buy her souvenirs when they go on vacation. They feel Sabrina is being raised by another family that wanted a child, they also believe as she is alive and well. There is a updated link at the bottom of the page. The story is too sick to print. I don't believe this happened and I don't believe the family believes this either nor the police. It was a mother's worst nightmare. On a November morning in 1997, Marlene Aisenberg woke and went into her 5-month-old daughter's bedroom to find an empty crib. Can an age enhanced photo help identify the girl eight years later? Sabrina Aisenberg could neither talk nor walk when cops say she was abducted from her quiet suburban home in Valrico, Florida. On November 24, 1997 five-month-old Sabrina was sleeping in her crib with her favorite baby blanket. At 12:00am, Sabrina's mother went to check on her and everything was fine. When her mother got up in the morning to get her other two children ready for school, cops say she found out Sabrina was missing. Her favorite blue and yellow blanket was also missing. Authorities say whoever took the girl didn't leave a note, and there was no sign of forced entry. In 1998, Sabrina's parents went on NBC's "Good Morning America" in hopes of finding Sabrina through a $75,000 reward. Would Sabrina Recognize Herself? Since Sabrina was only 5 months old at the time of her abduction, her appearance would clearly have changed drastically. In 1997 Sabrina had blue eyes and brown hair. An older sister looked similar as an infant. As she aged, her eyes turned brown and her turned lighter. Forensic experts have created an age-enhanced image of how Sabrina might look now. She would have turned eight on June 17. TAMPA — What happened to the baby girl is a mystery. What happened to the federal prosecutor who handled the case against Sabrina Aisenberg's parents is not: A Justice Department inquiry found that he recklessly broke the rules when he charged them with lying about her disappearance. The Florida Bar admonished the prosecutor, Stephen Kunz. The government dropped its case against Sabrina's parents, and paid defense lawyers nearly $1.5 million, the largest such sanction ever imposed against the Justice Department for its mishandling of a criminal case. And Kunz lost his position handling criminal cases for the U.S. Attorney's Office here. Sabrina Aisenberg was 5 months old when she disappeared from her crib one night in November 1997. The story her parents, Steven and Marlene Aisenberg, told the police was horrifying: They awoke that morning to find their daughter's crib empty and their back door ajar. The authorities searched everywhere for the missing baby, scouring the area near her home in Valrico, Fla., outside Tampa, seeking any clue that could tell them where she had gone. They found nothing. Eventually, investigators focused their suspicions on the girl's parents. Investigators from the Hillsborough County Sheriff's Office got warrants to secretly install listening devices in their bedroom and kitchen, recording thousands of conversations over three months. State prosecutors nonetheless concluded that they did not have enough evidence to prosecute the couple. But in 1999, almost two years after Sabrina vanished, federal prosecutors announced that they had solved the girl's mysterious disappearance, and charged the Aisenbergs with conspiracy and lying to investigators. The recordings were the most damning evidence. On one, prosecutors told a grand jury and a magistrate judge, Marlene Aisenberg could be heard telling her husband: "The baby's dead and buried. … The baby's dead no matter what you say — you just did it." But there was a problem with the recordings: Almost everyone who listened to them concluded that they didn't actually contain the statements prosecutors had presented to the grand jury that indicted the couple. U.S. District Judge Steven Merryday listened to the tapes and said he couldn't hear the incriminating statements. Perez, the former U.S. attorney, said he couldn't find them, either — even though the prosecutors, led by Kunz, had assured the court that the statements were there. After a judge ruled the tapes inadmissible, the Justice Department took the unusual step of withdrawing the charges against the Aisenbergs before their trial began. Then it conceded in court that it should pay their legal bills under a law known as the Hyde Amendment, which requires the government to compensate people if the charges against them were "vexatious." The department ultimately paid $1,494,650. OPR investigated Kunz's handling of the Aisenberg case. Its report — never made public, but summarized in state bar records— concluded that Kunz had recklessly tried to inflame the grand jury against the Aisenbergs and included unreliable excerpts from the recordings in the indictment. But its investigation also rejected Merryday's finding that the decision to charge the Aisenbergs had been "vexatious" or undertaken in "bad faith." Kunz's bosses at the U.S. Attorney's Office stripped him of his position as a supervisor while OPR investigated. In 2002, Perez — who once had counted Kunz as a mentor — reassigned him to the civil division before Kunz eventually quit. The Florida Bar, which regulates lawyers in the state, publicly admonished Kunz in 2005, the mildest form of public discipline it could impose but nonetheless an uncommon rebuke for a federal prosecutor. Justice Department records show Kunz has been assigned to criminal cases in Tallahassee since 2003. "It's kind of a travesty," said Steven Aisenberg, Sabrina's father, who lives in Maryland with his wife and two other children. Kunz "fabricated information, and he still has a job doing what he did before. Now he lives to do it again, to somebody else." Aisenberg said the family is still searching for Sabrina. She would have turned 13 last June.